Here at the EarthWays Center, we strive to enrich lives and protect plants and our environment by educating and connecting people to make practical sustainable choices where they live, learn, work, and play. We had a ton of fun helping visitors find sustainable solutions and chatting with them about some of the greening efforts we are a part of at the Garden! Click here to learn more. Therapeutic Horticulture experts discussed the numerous programs they have developed and the wide range of individuals these programs help within our community. If you've been wondering what plants and gardening can do for your mind, body, and spirit, click here to learn more! Missouri Botanical Garden scientists are doing research all over the world. Visitors were invited hear more about their experiences and findings, and also had the opportunity to view rare botanical texts and plant specimens dating back to 1700’s. For more information about the things our botanists are doing, click here. 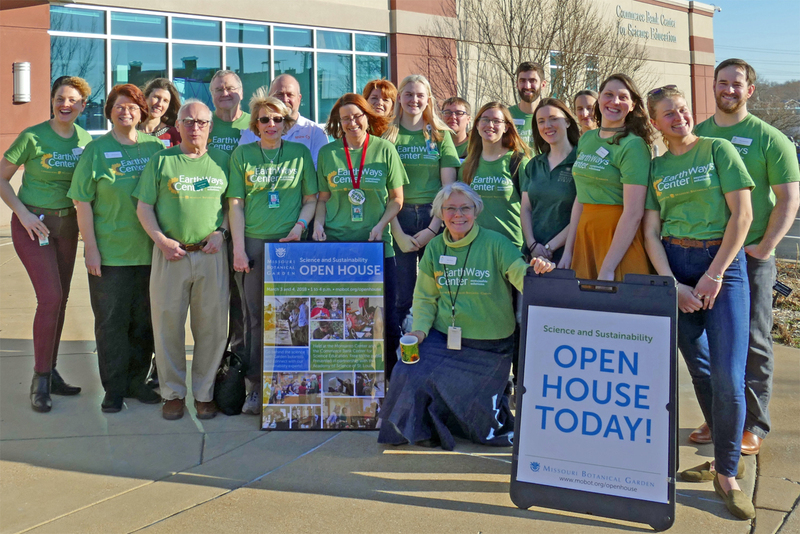 The mission of the Missouri Gateway Chapter of the U.S. Green Building Council is "To create and restore buildings and communities that will regenerate and sustain the health and vitality of all life within a generation." For more information about how they are implementing sustainability into our communities and spaces, check out their website.